MTN's new smart feature phone, the MTN Smart S has landed in Mzansi. MTN has launched its new smart feature phone, The MTN Smart S which cost R249. 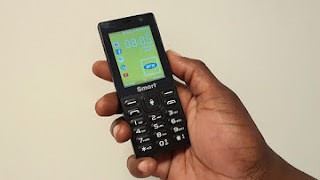 The announcement of the device was made in November 2018 by MTN revealing that it will partner with operating system maker, KaiOS, as well as China Mobile and chip maker Unisoc to bring affordable 3G smart features to the African market .